Many of you have been following the 2011 Targa Newfoundland here on Autoblog Canada and have taken notice to a few rarer vehicles that have entered the race. Most of you were likely rubbing your wide eyes in awe to see supercars like a Maserati MC12 and a Ferrari Enzo entered to endure the demanding race. 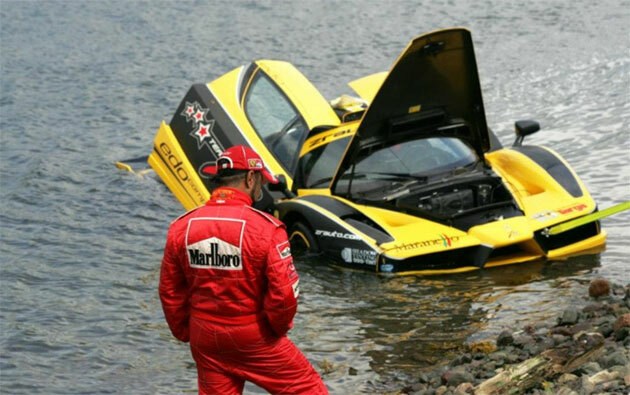 Unfortunately, the Enzo has bowed out early after taking a turn for the worst when it lost control and took a back dive into the Atlantic Ocean off a coastal road. The Enzo was piloted (and is owned) by Zahir Rana, who owns ZR Auto exotic car dealership. Ferrari produced 400 Enzos, and of them, Rana's was one of the fastest that was legal for road use after being modified to similar specifications as an FXX. It was tuned in Germany to deliver a bewildering 850 horsepower and held a 0-60 mph time of 2.8 seconds. We were able to get a few quick glimpses of the Enzo with Rana and his navigator, Roland Linder, heading for the ocean thanks to Kia Canada. Kia is also entered in the race and was waiting in anticipation for their Forte Koup to come around the same bend of road. Rana has posted up a video, which you can find after the jump, that clearly states his disappointment, but also his reasoning and a reflection of what happened. He definitely has the right mindset, explaining how things like this happen in racing and he is lucky that he and his teammate were left unscathed in the incident. He also makes a point to sadly say, "It's only a car, it's not a big deal." We agree whole heartedly with Rana, but with the same token of expression, having the incident happen to a car currently valued at $1.5 million is like throwing salt on the wound. Saw this on jalopnik. Glad the water wasn't too deep there and nobody was injured. The car actually doesn't look too bad considering. 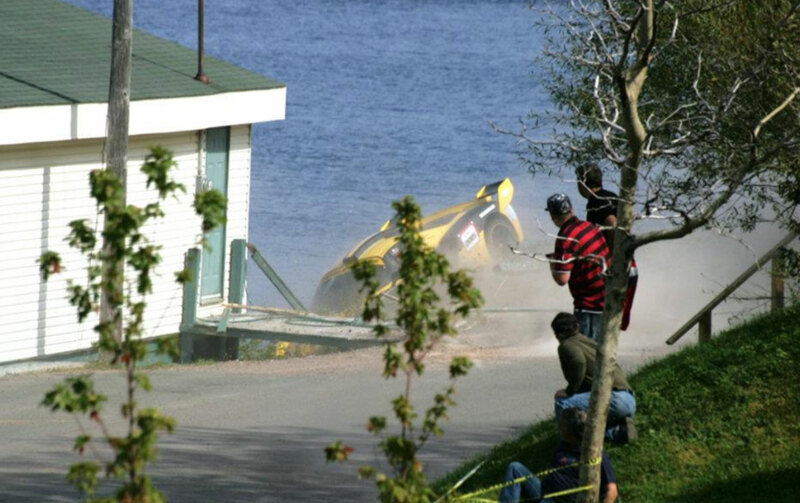 I saw a Porche lock up and go straight of into the water during this rally a few years ago, they showed and in car and as soon as he hit the water the windshield cracked and water was pouring in everywhere. Amazingly they had the car back up and running the next day. I would love to do the Targa Newfoundland someday. I cry knowing that happened to such a fine automobile. But am happy the guy is alright and rich enough to buy another. Ferrari Enzo in GTA area !